Two individual custom linear actuator carriages are mounted on one table base. Each carriage has its own ball screw which is individually driven by two separate servo motors. 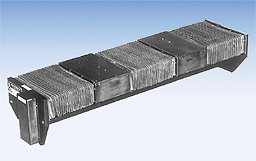 Waycovers are used to protect the linear bearings and ball screw from outside contaminants.